888 Poker has announced a Celebrity Challenges series of multi table poker tournaments, offering players the opportunity to win some fantastic guaranteed prize pools, plus an additional $100.00 bounty if players are able to knock out the featured celebrity – all for a buy-in of just 88 cents. The Celebrity Challenges series coincides with the release of 888 Poker´s updated software which enables players to set up private Pokercam tables and introduces a better flash version of the online poker software along with additional side games including a live casino. 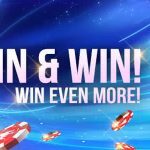 Many of 888 Poker´s high profile celebrities will be taking part in the “Challenges” series, including Australian cricketer Shane Warne, England´s fast bowling enigma Jimmy Anderson, Real Madrid and Spain goalkeeper Santiago Canizares and November Niner, Sam Holden. 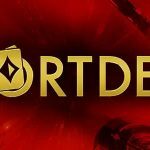 Also included in the celebrity line up are Tyler Bonkowski, a Canadian professional poker player who is currently running deep in the EPT San Remo Main Event, Sky Sports News presenter Charlotte Jackson and Soccer AM presenter Helen Chamberlain. 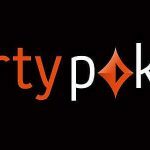 All seven celebrities will be playing on a Pokercam, so you will be able to see them live and watch for their tells. The program of seven challenge tournaments starts on 2nd November with Jimmy Anderson and runs all the way through to 29th November, when Charlotte Jackson will be the last celebrity to be put up for a bounty. The games are scheduled to commence at different times throughout the evenings to enable everybody to have a crack at taking down a celebrity, but there is no limit to how many tournaments players are allowed to enter. The full program of events (and the names to look out for) is listed below. 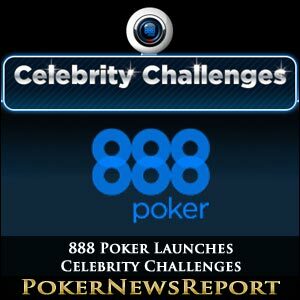 The celebrity Challenge series can be accessed via the Tournament Lobby on 888 Poker. Simply click on “Challenges” and scroll down until you find the game(s) you wish to compete in.